Huge congratulations on your engagement and thanks for stopping by! I'm a big believer that you should enjoy every minute of your wedding day and your wedding photos, should be natural but creative, packed full of beautiful moments, amazing portraits and a bucket load of fun! Not only that, it should be one of the best days of your lives and I'd love to help you have that. So whether you're getting married in Lancashire or further away drop me a line it would be great to learn more about your plans. I'd love if you’d take just 3 minutes to check out this little video I've made.It’s a selection of my favourite images from last year that show off just how many amazing little things happen on the big day. There’s a bunch of elements that make up the narrative of your wedding day. At the core of it is you guys and your personalities. Once you add into the mix all your friends and family it creates the narrative of the wedding day. Together, they create those little moments that make your special day, well, special. The trick is not just to photograph these moments but capture the essence and spirit of the day so you can relive it for years to come. I like to make this feeling even more exciting with a slideshow. The word “slideshow” might sound a little dull, but really it’s like a little HD movie, made up of the best photos from the day. Set to the perfect music, you’ll be wowed by just how powerful it is, as it brings the day to life again. First, it’s best to check I’m available for your date. Once we’ve cleared that up, I always think it’s best we meet up, either in person if you’re local to Lancashire, or at least over Skype. That conversation’s really important, as we get to know each other a little and find out whether I’m definitely the right photographer for you. Fingers crossed I am, and we’ll go from there. We can discuss any special requirements you’ve got, what (if any) group shots you want on the day, and work out timings based on the plan you choose. I can even tell you more about your chosen venue – there are very few, if any, in Lancashire and beyond that I’ve not photographed a wedding at before. It’s all really simple and stress-free, so you can just relax. You’ve enough to think about with the flowers, rings, dresses and so on! Remember, my only agenda, with the exception of capturing an awesome and creative photographic story of your wedding, is that you have the best day of your lives. I’m passionate about my style of imagery. It’s natural and timeless whilst at the same time being progressive, bold and modern. I gauge my approach to each and every moment of the day. There are times to stand back and document from afar, and others where I have to get right in the thick of it and be part of the party. I should let you know that I avoid “Cheese” and I’ll never take cringeworthy photos of you and I’ll also never ask you to do something that would make you feel uncomfortable. Truly stunning images rarely just happen. Taking a pretty good picture takes some skill, but taking a great photo can take refinement and a bit of teamwork. There’s three elements to consider when crafting the perfect photo, the lighting, the composition, the moment. When all three come together, something special happens. I’m constantly seeking inspiration to find new and exciting ways to capture moments as the day unfolds. 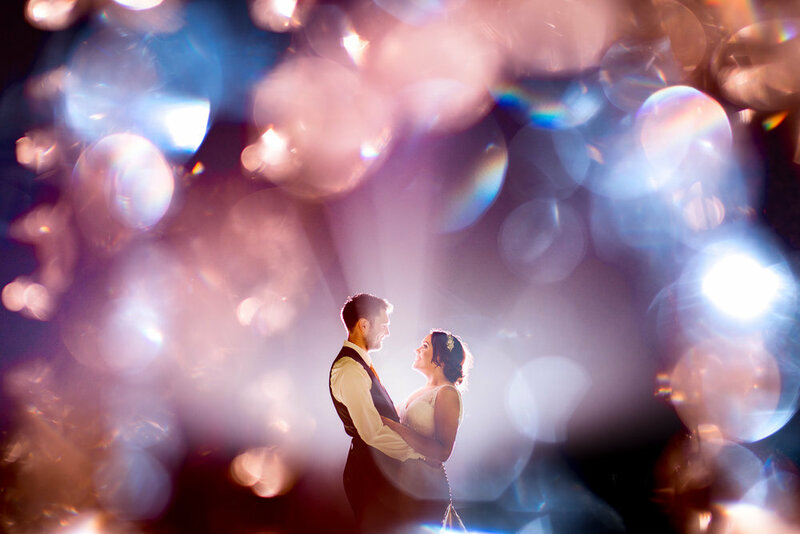 Although the story of your wedding day is the heart of the narrative, along the way opportunities arise such as landscapes, light or clever framing. I love to take a moment to harness this and create something you can treasure forever. I have some fabulous wedding album manufactuers that make stunning books. They feature timeless covers, amazing papers and are the perfect way to enjoy your wedding photos. In years to come, when you get your wedding album out for your kids or grandkids, it wont just bring back loads of amazing memories but how you actually felt on that day! I’ve always worked to an ethos that things should be simple. The same goes for choosing me to be your photographer and everything that's involved with that. Every step of the way, every base is covered, meaning you don't have to worry about a thing. From easy online booking, right until you receive your album and/or images and slideshow, you can rest assured that I'm on it! When it comes to picking your wedding photographer, most people want someone who shoots more candid, journalistic photos that aren’t posed. 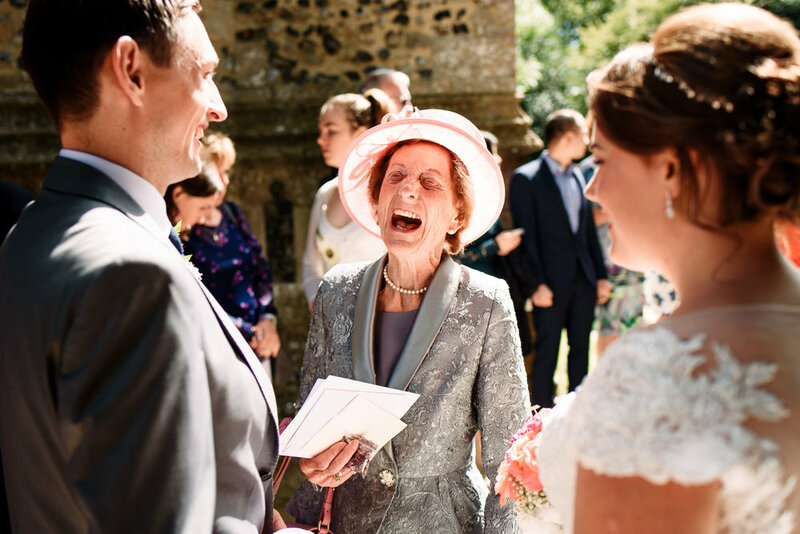 Usually people want those natural images, in a beautiful setting, and maybe those traditional group photos too – alongside the key moments of the ceremony and all the action throughout the day. Just so you know, that's all good with me. Call it what you will: candid, journalistic or documentary photography. Basically, these are photos that aren’t posed. I have my own way of shooting weddings. It's all born from experience, anticipating what is going to happen and when. What this means is that I capture the more natural atmosphere of your wedding. It’s these photos that really help bring the memories back, as it’s those perfect moments that are preserved. And because I’ve worked in all the major wedding venues across Lancashire, I know where the moments tend to happen throughout the day, and can be ready to capture them at their best. Yes! I do photograph formal group photos. You’d be surprised how many photographers won’t show group photos on their websites. They don’t want to be known for those kind of pictures. I understand that, but shooting group photos and crafting them well is a big deal. It’s not just a case of gathering people together, pointing and shooting. Here's my guide on how I do them, what it means for you and why they are important! I do love photographing wedding portraits! There's a few reasons I love doing them but mostly it's the challenge of creating something unique for every couple. The creative and magical images look fab and I love the feeling of inspiration to always do better. It helps that Lancashire has some incredible venues with some stunning areas nearby, perfect for wedding photos! Your wedding photos last forever! It's true! After the wedding day your photos are the one thing you look back on. In ten years’ time you'll reminisce and in 50 you'll be showing the grandkids who their great grandparents were. In a nutshell, I'm a storyteller. What makes every wedding unique is the little moments that all come together to make your perfect day. I don’t just capture those moments, but how they feel, so that when you look at your photos you don’t just see your wedding. You relive how it felt to be a part of it. I shot my first wedding in Lancashire in 2009 and 2019 marks my eleventh year as a wedding photographer. I've won some lovely awards and been to over 500 weddings. In the world of wedding photography which is full of new entrants this is important, as what it means for you is that when I turn up on the big day I'm bringing with me a wealth of experience and creativity which you can rely on so you end up with stunning wedding photos!